These early works by various authors were originally published in the late 19th century and early 20th century and we are now republishing them with a brand new introduction as part of our Cryptofiction Classics series. 'Cryptofiction - Volume II.' 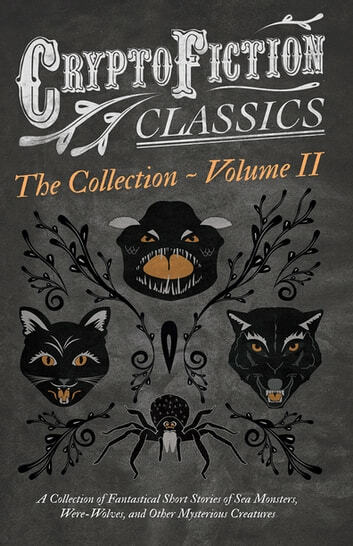 contains a collection of short stories that include 'The Messenger' by Robert W. Chambers, 'The Brazilian Cat' by Arhur Conan Doyle, 'A Relic of the Pliocene' by Jack London, and many other classic tales of strange creatures. The genre of cryptofiction has grown up in the shadow of its older brothers, science fiction and fantasy, and specialises in the concept of mysterious creatures such as sea monsters, wolf-men, and lost pre-historic creatures. Cryptofiction takes its name from another, non-literary practice: cryptozoology. This is generally regarded as a pseudoscience by mainstream scientists, relying as it does upon anecdotal, often unverifiable evidence. However, it still boasts many enthusiasts, and continues to exert considerable artistic allure. Cryptofiction is here to stay, and the stories in this collection map the development of a genre which is as strange as it is fascinating. The Cryptofiction Classics series contains a collection of wonderful stories from some of the greatest authors in the genre, including Ambrose Bierce, Arthur Conan Doyle, Robert Louis Stevenson, and Jack London. 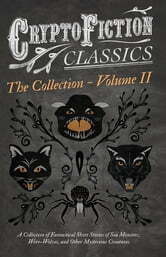 From its roots in cryptozoology, this genre features bizarre, fantastical, and often terrifying tales of mythical and legendary creatures. Whether it be giant spiders, werewolves, lake monsters, or dinosaurs, the Cryptofiction Classics series offers a fantastic introduction to the world of weird creatures in fiction.